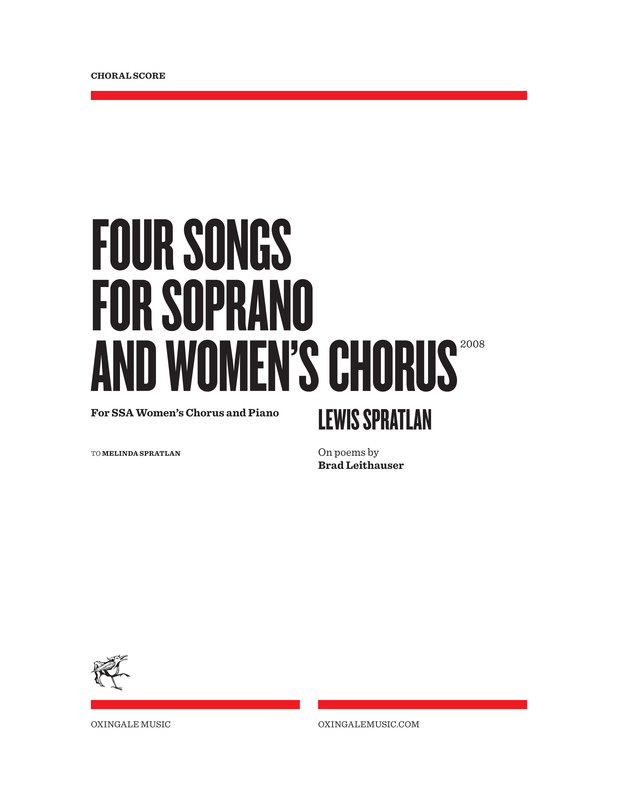 Choral materials are also available for rent. Please contact us for more information. Brad Leithauser’s poems from his collection “Angles and Curves” peer into the details of ordinary lives with surprising results. A retrospective warmth evokes a summer’s evening in the Midwest and swing-era female trios are brought to life in a glimpse of Rodgers and Hart. 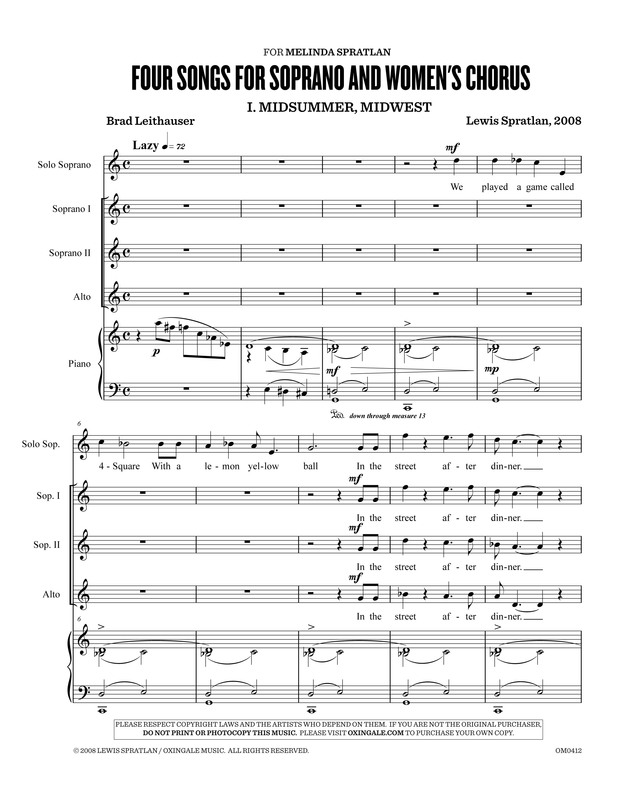 This entry was posted in Choral Music, Lewis Spratlan, Vocal Music, Works for Rent and tagged Brad Leithauser, Spratlan audio clips, SSA, women's chorus. Bookmark the permalink.